We all know that when it’s about videos, then YouTube is the king and it is also the second largest search engine. By using the YouTube in the right manner, you can combine your SEO strategy and your content. Now, the search engines are also showing video results in order to provide the user the most relevant information. So, while you are creating or uploading any video, don’t forget to mention its description for the help of the visitors. When people their choices on the internet, then videos are more reliable and trustworthy result for them. Even 90% of the users say that the videos related to any product or services are more helpful, then any written text. Video would allow you to position your business as the right choice and they would pick you over your competition. There are 64% more chances that people would buy your product after watching the video. In order to grab the attention of the potential customers and provide them an opportunity to purchase, video marketing is a great way. By utilizing social media for your promotion, you actually reach the cream category of your customers. you must have seen on your own that while scrolling down on Facebook most of the content is in the form of videos now. The reason is video posts on the Facebook have about 135% more organic reach compared to the text. Social Media is the best way to get yourself in the front of the community in a good way. Through shares, comments and likes, you can depict the reliability of your brand. 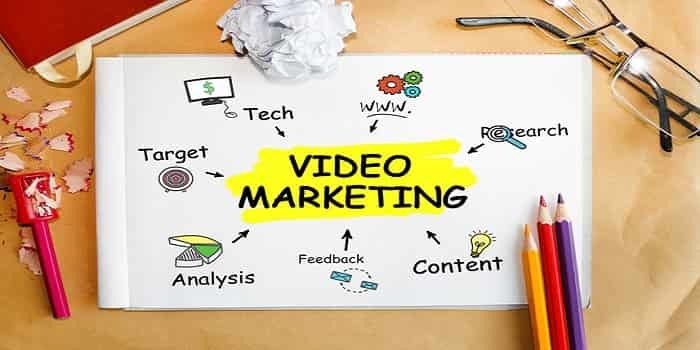 To avail all the benefits of video marketing, you would need an expert who can create a professional video in a personal way and also get you reach your potential customers in an effective way. At Spark Plug Media, we can help you in doing that, call now at 844-633-3111 for more details.